All Rights Reserved © AboutKazan.com 2006 - 2012. The AboutKazan.com is solely responsible for its content, unless expressly provided otherwise. Trademarks, web sites and images that appear throughout this site are the property of their respective owners. If you consider that your owner rights are infringed file a copyright infringement notification with us. You will need to send a written communication. All complaints should be submitted at the following e-mail: about.trek@gmail.com. No part of this site shall be reproduced, copied, or otherwise distributed without the express, written consent of content owners. This site is not affiliated with any government entity associated with a name similar to the site domain name. 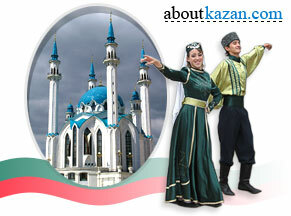 We use third-party advertising companies to serve ads when you visit our website AboutKazan.com. These companies may use information (not including your name, address, email address, or telephone number) about your visits to this and other websites in order to provide advertisements about goods and services of interest to you. If you would like more information about this practice and to know your choices about not having this information used by these companies, click here.